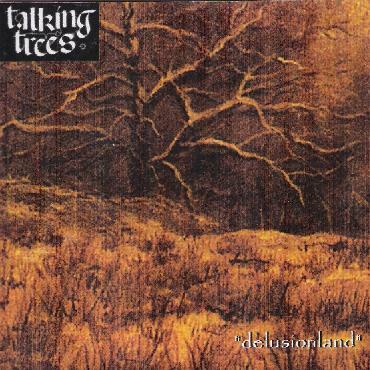 British folk-pop-psych band Talking Trees returns with the follow up to their self-titled 2002 debut (see AI #22). I wasn't planning on revisiting the last album in preparation for this review, but then I was surprised to read Sean Robert Chambers say on the band's web site that he wasn't happy with the overall sound of the first album because it never really captured the mood and feel of the band. I was fairly bowled over by that album and still feel that had it been released in the late 60's it would have been a hit. So how much different is the new album? Well… the same 60's inspired folk-psych wrapped around a pop song aesthetic is still there. The band's knack for songcraft and melody is present throughout the album. Byrd's styled acoustic guitar patterns. Light and airy - and very good - vocal harmonies. Among the highlight songs is "William", a bouncy tune with a cool quirky keyboard pattern and trippy fuzzed and wah'd electric guitar. I really dig the harpsichord intro that leads into the traditional folk sounding "Mammon Mandarin". A cover of The Kinks' "God's Childen" fits in perfectly with the whole vibe of the album. The album ends with the nearly 7 minute "Athabasca", the one cut on Delusionland where the band let their hair down, rock out, jam a bit and get nicely freaky psychedelic. The main difference to my ears between Delusionland and the debut is that the production is more stripped down on the new album. It's got a live performance feel. The last album features a much fuller band sound and exudes an energy and passion that I don't sense on the new album. Delusionland features solid songs, but too many of them are too much alike. I'm just not blown away by it like the last album. Start with the first album and then grab this one and judge for yourself.